Steve Goodwin, shareholder in the Memphis office, concentrates his practice in civil litigation and labor relations law. His experience includes employment discrimination litigation, unfair labor practices, employer policies, arbitration and negotiations, tort and commercial litigation, tax litigation and appellate practice. Mr. Goodwin has extensive experience in all aspects of labor and employment law. He has negotiated union contracts, represented management in labor arbitrations and unfair labor practice charges and EEOC charges. 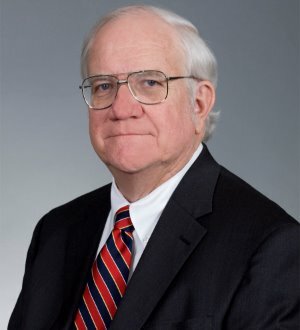 He has litigated cases under the Civil Rights Act, the Age Discrimination in Employment Act, the Americans with Disabilities Act, the WARN Act, the Family and Medical Leave Act and their state counterparts. In addition to litigation, Mr. Goodwin advises clients on a daily basis concerning employer policies, terminations, employee handbooks and union matters. His clients include large corporations, small businesses, professional groups and non-profits.